This job aid is designed to help spill responders select appropriate response options to minimize environmental impacts when oil spills in coastal habitats. The response methods discussed include natural recovery; mechanical, chemical, and biological treatments; and in situ burning. The job aid focuses on maximizing response effectiveness while minimizing resource impacts. The guide is especially useful for people participating in cleanup assessments as part of Operations and Planning Units within the Incident Command System (ICS). View and Print the Job Aid: Characteristics of Response Strategies: A Guide for Spill Response Planning in Marine Environments [PDF, 1.1 MB]: Updated June 2010; reprinted March 2013. Order a Copy: You can also order a free laminated copy of the job aid by contacting our Photos and Orders Specialist by email or by phone (206.526.6558). 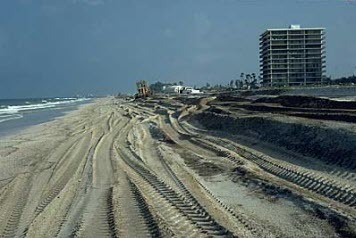 This guide and its companion guide, Characteristic Coastal Habitats: Choosing Spill Response Alternatives, are based on information contained in the manual, Environmental Considerations for Marine Oil Spill Response, published in 2001 by the American Petroleum Institute, NOAA, the U.S. Coast Guard, and the U.S. Environmental Protection Agency. The manual is available for purchase from IHS Inc.
Shoreline Assessment Job Aid: This job aid is a supplement to the Shoreline Assessment Manual, which contains visual examples of many of the terms responders would use during shoreline assessments after an oil spill.